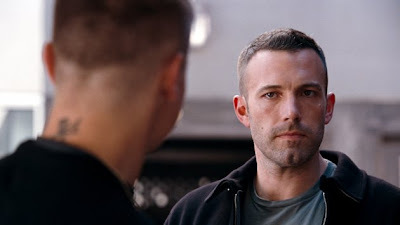 By now, we all know that Ben Affleck is from Boston. His first film as director,GONE BABY GONE, is set there and he has now returned home for his second feature, THE TOWN. The titular town in question is Charlestown, a town in Boston that has seen more bank robberies than apparently any other in the world. Personally, I would think twice about even opening a bank there with statistics like that, but people need their money and other people need to steal it. InTHE TOWN, Affleck gives us a delicate, albeit straightforward, balance between these people. There is nothing particularly new and exciting about the premise. 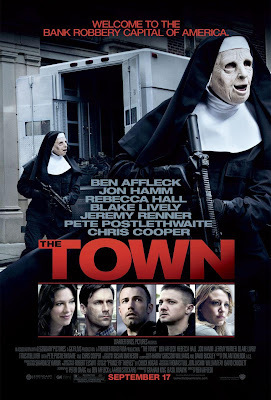 A group of four “townies”, including director himself, Affleck, and new “It” boy, Jeremy Renner, hold up a local bank and take the bank manager (Rebecca Hall) hostage. 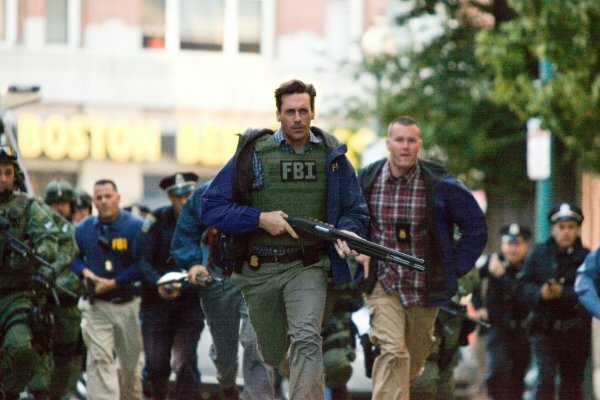 Affleck stalks her a little afterward to make sure she doesn’t know anything that the FBI can use to find them, but then something unexpected happens; he falls for her. It isn’t really unexpected for us but rather for him. All he’s known his whole life is crime; even his father (Chris Cooper) is doing time and proud of it. I think what he didn’t expect was that he might want something else from life, something more stable and meaningful – something that you actually can’t steal but rather have to earn. Affleck is quickly becoming a more relevant persona as a director than as an actor, but it is his lead performance in THE TOWN that anchors the film. The supporting cast, including Jon Hamm without a cigarette hanging out of his mouth all the time, is stellar, but Affleck is the big winner here. He may not have found a way to inspire insight from his work as a filmmaker just yet but he knows how to control the story, command the audience’s attention and, most importantly, keep us entertained. My money says he is going to continue to grow on this path. I just won’t be putting that money in any townie bank any time soon.